As a purpose practitioner for 20+ years, I was delighted to see the bounty of Cannes awards won by REI's #OptOutside. While there is controversy about which agencies won in which categories, the true winner was the honesty of the initiative and its power to build REI's brand far beyond any single advertising, public relations or social media campaign. With authenticity at its core, taking a bold approach -- closing its stores on Black Friday to encourage people to enjoy the outdoors -- the company ignited a true cultural movement. The journey toward the creation and activation of that bold and daring initiative provides critical insights to organizations who choose to declare and activate their core purpose to build beloved, engaging and growing brands in a disruptive world. Today the discussion of purpose is everywhere. Here are a few great examples: The Business Case for Purpose from the Beacon Institute, Project ROI, and Freya Williams' outstanding book, Green Giants. In the E&Y Beacon report, a survey of 474 executives found that today, "companies are searching for a new genetic code to help them continuously evolve to survive and thrive." It reported near-unanimous agreement that purpose drives organizational performance: 89% of executives reported a strong sense of collective purpose drives employee satisfaction; 84% stated it affects an organization's ability to transform; and 80% added it helps increase customer loyalty. REI's #Opt Outside, superbly executed, did precisely that. Indeed while the Beacon report found that nearly 90% of executives support the power of purpose, only 46% of the companies surveyed said their organization currently runs in a purpose-driven way. So here's the cosmic conundrum. Embracing and integrating an authentic purpose is critical to ignite and drive an organization forward -- from employee satisfaction to recruitment and retention, to customer engagement and loyalty, to product innovation, risk management, enhanced supply chain relations, improved sustainability efforts and driving profit. Yet less than half of organizations are strategically embracing purpose. Thus the REI initiative provides keen lessons for organizations striving to amplify their meaning and purpose in the world. 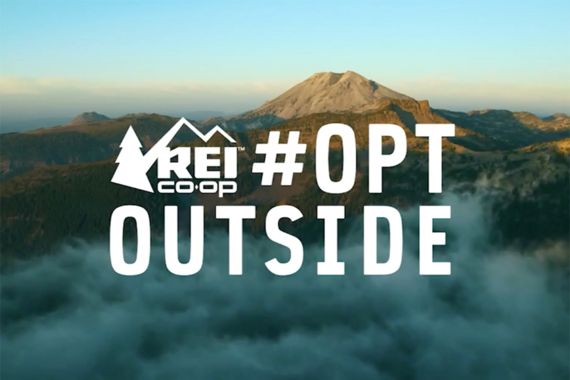 REI's #OptOutside started with a simple suggestion by an employee in a holiday planning session: "What would happen if we closed on Black Friday?" Lesson #1: Listen. Be bold. Even crazy. The best ideas can come from anyone in the organization. Let ideas steep into a conversation for possibility, instead of summarily pushing their audacity aside. The initial idea was about giving REI employees the day off to enjoy the outdoors, then asking others to join, too. Lesson #2: Start with employees. They are your life's blood, plain and simple. 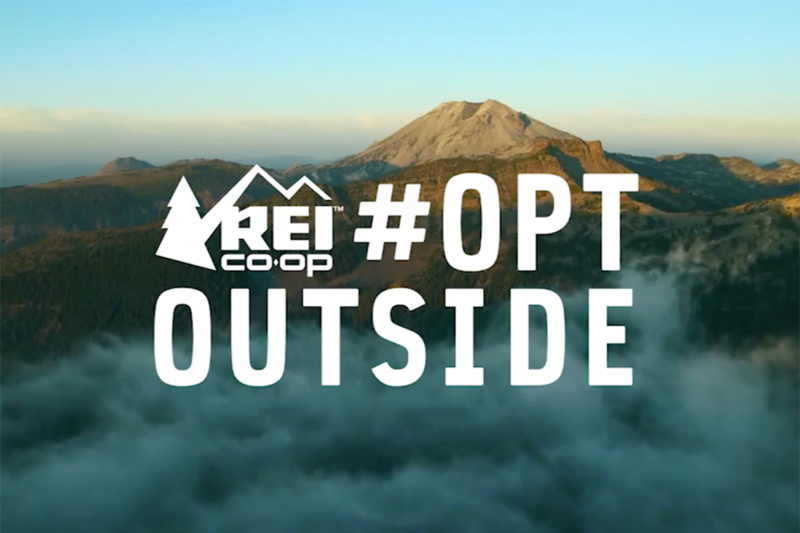 "REI employees almost immediately agreed to go 'all in' once they established this idea as a real possibility," said REI CMO Ben Steele. Think of the storytelling amplified by 12,000 excited and delighted employees. Once REI's CEO, Jerry Stritzke, embraced the idea, he encouraged his team to focus on its potential, not its pitfalls. Lesson #3: CEO stewardship is key to guide and allow the organization to strive. I call it "institutional will." Integrated with employee participation, the top-down, bottom-up combination creates magical energy and opportunities. As the idea gained momentum its strategy shifted from closing the stores on Black Friday to a broader vision: how to get people to go outside? Employees. Customers. The public. Potential competitors. Non-profits. Suppliers. Lesson # 4: Make the purpose larger than the organization. Create a big umbrella under which multiple audiences can gather, integrate, ideate and participate. Next, how to engage others in the purpose? Lesson # 5: To activate the "large umbrella" develop a powerful rallying cry. 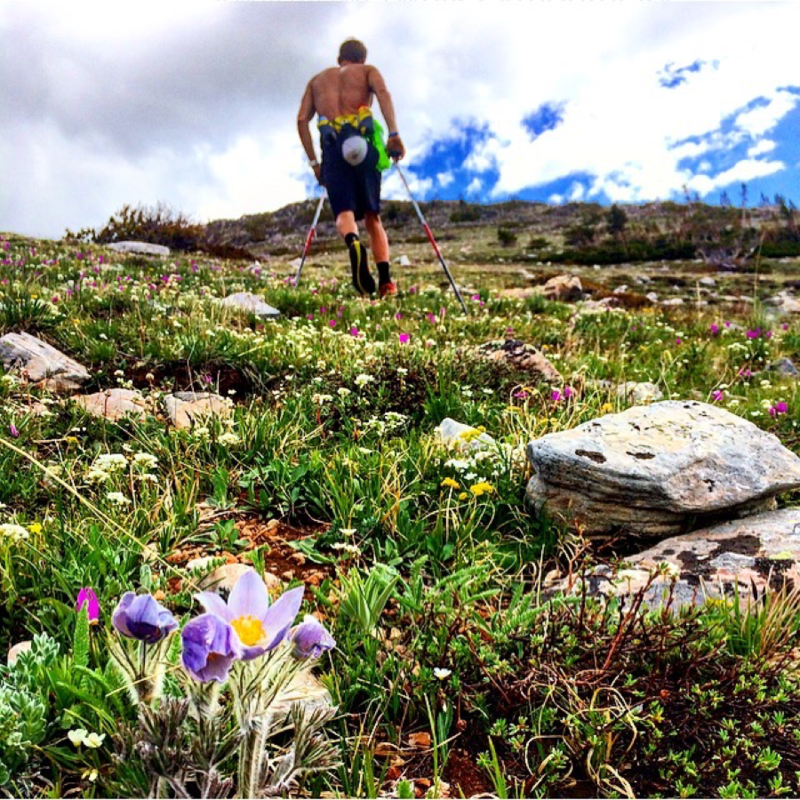 #OptOutside was created to ignite audiences with the "big idea." Purpose ideas that naturally evolve to movements attract others to join. Which leads to Lesson # 6: Co-creation. 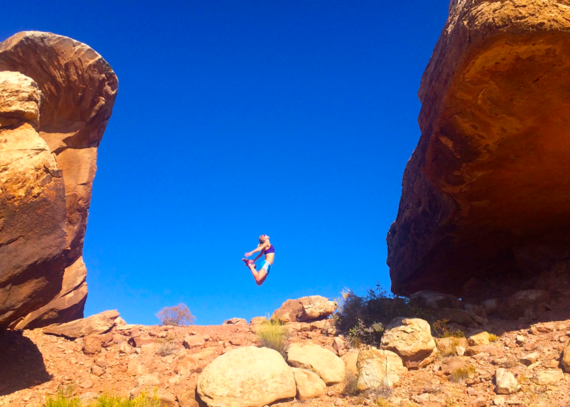 REI created a meme generator which encouraged users to create videos and images related to their own outdoor experiences. Said REI's Steele: "That engine was really key. It became more than us, and Black Friday. It grew to become more about individual choices." And thus Lesson # 7: A deep purpose-driven initiative goes far beyond advertising. With relevance and ease of use, it spreads exponentially. Dedicated program elements to engage others is Lesson # 8. REI partnered with a geo-mapping service to design a mobile site to invite less experienced outdoor enthusiasts to try out the outdoors close to home. Lesson # 9: Great purpose initiatives invite collaboration and others to join. The greatest ideas are "given away" for others to embrace. 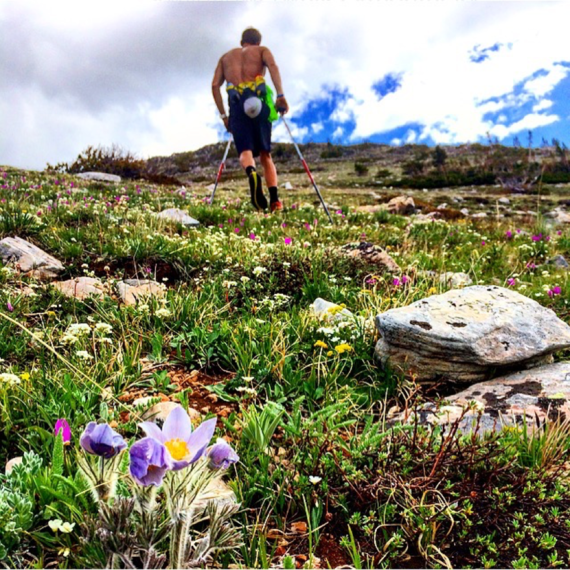 Their breadth and the utilization of a broad platform encouraged others to join #OptOutside. Over 150 additional retailers and the National Parks announced plans to join into the ever-growing movement. Finally, Lesson # 10: If employees are the lifeblood of a purpose initiative, then authenticity is its DNA. 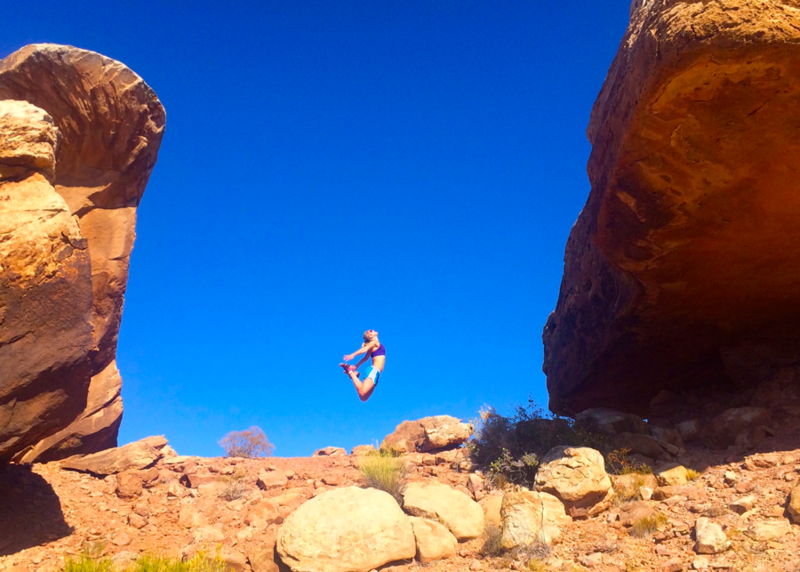 #OptOutside became so much more than the rejection of Black Friday. It was the mirror of REI's soul, values, cooperative membership structure and reason for being. In recognizing that and creating an extremely large "umbrella" for others to join under, and with a little bit of luck, #OptOutside became a true movement. How fortunate that its leadership, culture, timing and generosity of spirit allowed it to flourish. We all can benefit from its lessons and very special journey. Now, let's see how it grows.